In Light Sport Aircraft (LSAs) and Recreational Aviation (RA) – indeed in all flying machines – weight is a key factor. In fact it could be said that weight is THE factor when it comes to light aircraft design – strong (meaning heavy) enough to do the job, yet light enough to carry a reasonable load within the legal regulations of its category. Of all categories, LSAs and RAs have probably the most stringent weight limits applied to them. Yet in almost all LSA/RA flight reviews I read, there is little or no mention of usable load, empty weights or maximum gross weights. 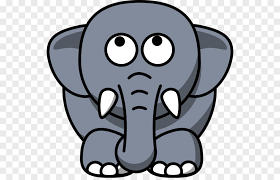 How come nobody discusses this key topic – the elephant in the room? The aircraft may look and fly great but if the usable load is so limited that carrying a couple of typically sized people and a reasonable amount of fuel will take you outside the legal limit for the aircraft – what use is it? At the recent Avalon Airshow, I wandered around looking at a wide selection of LSA and RA offerings. Many of them were kind enough to display data including empty and maximum weights alongside the aircraft. All the aircraft I looked at posted a maximum gross weight of 600 kgs or, in a couple of cases, 550kgs and 544kgs. There was a seaplane with a maximum of 650kgs. The declared empty weights varied between 312kgs and 530kgs although one of them went to the trouble of blanking out the empty weight for some reason. Excluding the anonymous empty weight and the 530kgs machine, the average empty weight of all the LSA/RA aircraft I photographed worked out at a whisker over 360kgs. One well-known LSA showed – for what appeared to be identical models – empty weights of 360kgs and 390kgs. What, I wondered, could make such a large difference? there appeared to be no parachute rescue system in either, so I (at least) was puzzled. So let’s have a look at usable loads. Taking a maximum gross of 600kgs, minus the average 360kgs empty weight, leaves you with 240 kgs for fuel, people and baggage. Typical pilots these days tend to weigh in at around 95+ kgs, passengers anything from 60 -100kgs+ – a total for people from around 165-195kgs. Some would say I’m being optimistic! I have certainly seen two big 100kgs+ people get out of an LSA on many occasions. But let’s stick to an average of 180kgs total for people. That legally leaves about 60kgs for fuel and bags. Fuel weighs around 0.72kgs per litre, so without bags you have about 80 litres of fuel. As an absolute minimum, you probably need to allow at least 5kgs for ‘bags’ – remember, tie-down kit, maps, aircraft cover, removable navigation/GPS equipment, headsets, cameras, clothing etc all count as ‘bags’. Worst case scenario: your aircraft empty weighs 390kgs – see above. You weigh around 100kgs with your boots, headset and clothes on, your passenger the same. You’ve got a 2kgs tie-down kit in the back and your trusty portable GPS on board, plus your passenger’s camera kit. It all adds up to well over 590kgs – leaving less than 10 kgs for fuel, or around 13-14 litres….any more and you’re flying illegally in a 600kgs maximum gross aircraft. So, what can you do with the elephant? Setting aside the regulations for the class, which lay down maximum empty weight limits based on engine power and number of seats, what implications does this have for buyers and, in particular, flying schools, who want to stay within legal load limits? First, make sure, before you buy, what is the actual empty weight and thus the usable load. Beware of statements like ‘from 295kgs’ as this weight is often an absolute factory minimum, with no oil, or battery, or bigger ‘standard’ wheels/tyres, wheel spats, radio, antenna, even (in one case I know of) seat cushions and flight instruments. Don’t accept assurances that the factory already weighed your aircraft so you don’t need to – I know of a number of occasions where a repaired aircraft had to be re-weighed and came in much heavier than before repair – in one case somehow gaining over 40kgs (yes, really!) compared with the original factory weight sheet. Get a written guarantee of the empty weight of the aircraft you’re buying or ask for the aircraft to be weighed just before you take delivery, it’s worth the money – and remember, the manufacturer wants to sell you an aircraft and won’t be the one copping it when you get ramp-checked, or the insurance company refuses to pay out because the plane was flying over the legal weight limit. Or your flying school is audited with a random weight check. Next, work out your true weight and that of your passenger/co-pilot – including boots/shoes and clothing. Add that to the real aircraft empty weight to work out how much fuel and baggage you can carry. Can you still carry full fuel as well as people and bags? If not how much are you prepared to compromise? Personally, I have a 2-3 hour bladder, so I don’t often need full (fuel) tanks. But what about that 2-hour flight to a place with no fuel, plus the journey home? Even if you and your passenger are quite light, remember that when you come to sell the aeroplane, the customer might be a flying school, or a lot heavier than you, potentially limiting your sales options. There’s another one I hear a lot: ‘the plane’s safe to 750kgs gross, so you don’t need to worry’. But you DO. Safe it may be, legal it’s not…remember ramp checks and insurance companies? Last but not least is the issue of centre of gravity (CofG). The CofG limits are calculated to fit in with the maximum gross weight of the aircraft – how many owners/pilots of LSA/RA aeroplanes actually calculate the CofG before taking their (maybe slightly heavier) friend for a quick morning flight? Tanks full? Feels a bit slow to lift off? Or maybe too quick, with a rearward CofG? No problem, the plane will fly OK…until it doesn’t. Read some accident reports about exceeding CofG limits. Some people might feel I’m being a bit picky – after all, how often do you get ramp checked? Or insurance companies weigh the aircraft before paying out? Actually, surprisingly often. But the laws of physics can’t be denied; if you frequently fly at or over the aircraft weight limit, it will wear out much quicker. Safety margins are compromised and the flying characteristics will become more and more like a heavier GA-type aircraft. The cruise will be slower, the stall will be higher and you stand much more chance of bending the landing gear if you come down a bit heavy. Ignorance of the true empty weight of your aeroplane is no defence. Don’t ignore the elephant! You have been warned!